Say bye bye to Makeup artists! One look at social media feeds today and anybody can tell that image editing apps are having a gala time. Even established social media like Snapchat and Instagram have very popular image manipulation features and these features form a major part of their current popularity. And a major portion of those image editing tools are focussed on altering one’s own appearance, be it by applying an image-wide filter or some funny face detecting masks. Amid all of this, there is an app that does the same thing for any kind of makeup and cosmetic changes for the face - MakeupPlus. Rather than spending money on buying cosmetics or getting your hair dyed, or new lenses, spending time with this one app can do all of these and more. MakeupPlus is a hidden gem available on both Android and iOS (not too hidden with over 10 million installs on Play Store), which deserves to be much more popular than it already is. 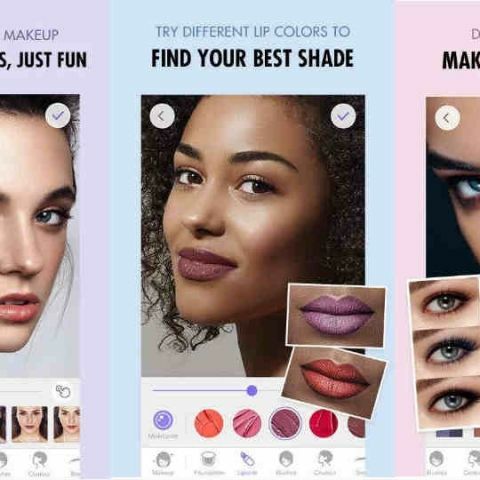 Recommended by makeup artists, the app has some really powerful tools that are pretty easy to use for anyone familiar with mobile photo editing apps. You can take a selfie (or a picture) within the app to edit it or choose one from the gallery in the camera mode. In this mode, you can apply some pretty standard makeup filters or download more of them! These filters and the way your features are detected can be manipulated down to the details. You can also directly open the Editor to edit specific features of your facial makeup - like lipstick, mascara and even contouring. Saves a lot of hit-and-miss effort, doesn’t it? If you’re not sure how to proceed with this, tutorials are also available on the app. Also, in the settings, you can set your standard preferences for the camera, photo and even your skin tone. Ever wondered what you would look like with blue eyes, green hair and higher cheekbones? Well, now you can find out!